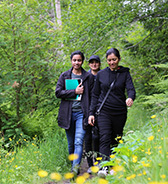 At Coast Mountain College incredible people, rugged landscapes, clean air and deep flowing rivers elevate your experience. 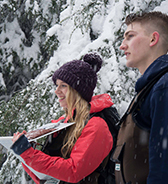 Rich in history and culture, our international students come to learn and explore in the great Canadian outdoors. We offer a high-quality, personalized experience at very affordable tuition rates. Our region's low cost of living, combined with Northwest BC's stunning natural beauty make for a package that is hard to resist. 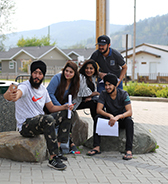 Explore our programs and experience why international students are choosing CMTN. Explore our programs open for international applications. Study, work and play in one of the most spectacular places on earth. Explore and discover why students are choosing CMTN. Explore our region and campus locations.